The Minister of the Ministry of Infrastructure and Transport of Kosovo took the decision to apply the tax of the environmental sticker for the vehicles, ranging from 3.5 euros for motorcycles to 6 euros for heavy vehicles. This compels all Vehicle Technical Control Centers for the implementation of this decision, starting from February 1st. With the testing of these gases, Kosovo citizens are charged not only to pay the technical control of the vehicles that is determined by this ministry at the price of 30 €, they will already have to pay the gas test fees for each category of motor vehicles. The fee for the category of motorcycles is 3.50 €, while for 3.5 m our mother is 5 €, while over 3.5 tons is 6 €. 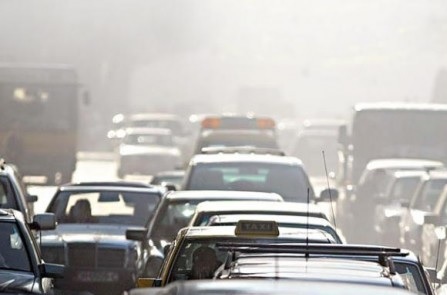 Compared to Albania there is no direct tax on the environment, but the oldest vehicles pay more, while the annual fee of the used vehicles is valid for 365 days and is determined according to the formula: Cilindrata in cm3 x fixed coefficient by age x fixed tax for the type of the fuel. Vehicle environmental stamps or stamps are a sign placed on the front of the vehicle in order to indicate the level of emissions emitted by the respective vehicle. The purpose of its use is to reduce air pollution from mobile sources by defining permitted or prohibited areas for vehicle circulation depending on the level of emissions of gases. According to data from the Ministry of Internal Affairs in Kosovo there are over 300 thousand registered cars. In this figure according to MIA are included new registrations, temporary registrations, the decisions, re-registrations and legalizations. Citizens of the Republic of Kosovo also pay the ecological tax that has been applied for more than a year ago by the Ministry of Internal Affairs, this fee is paid to the Municipal Vehicle Registration Centers.